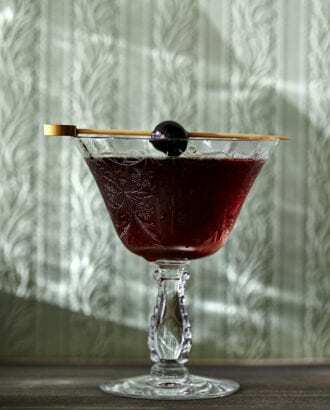 Created by bartender Todd Smith when he worked at San Francisco’s Bourbon & Branch (he’s now at ABV, our 2015 Cocktail Bar of the Year), the Black Manhattan recipe uses Averna in place of sweet vermouth. It’s like a brooding counterpart to the classic Manhattan. This syrup only relies on the juice, which is readily available year-round in bottle form.